Please call (760) 876-0030 for color and size choices. 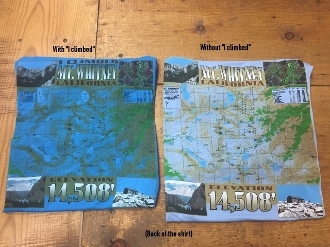 Detailed map printed on back side of shirt. Small Mt Whitney logo on front side.